Say Goodbye to Scrambled Apps, and Hello to an Organized Device Screen! How Do I Get App Organizer? 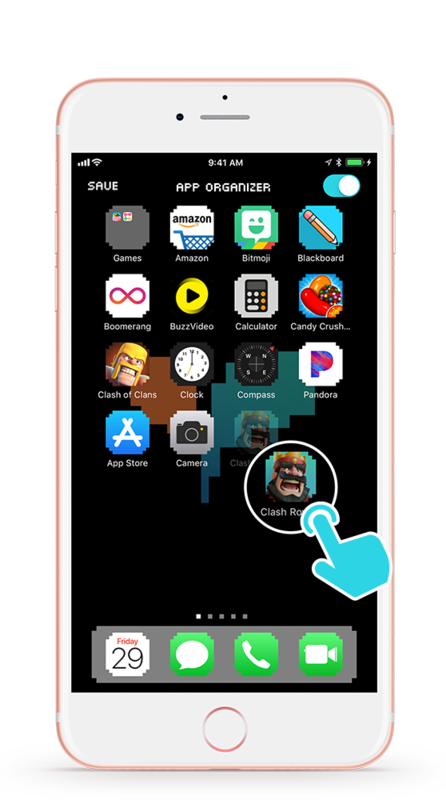 OurPact’s App Organizer is available for users subscribed to OurPact’s Premium tier, through OurPact Jr.
After upgrading your account to OurPact Premium, navigate to ut.ourpact.com on a computer, and follow the instructions to install Premium management onto your iOS child devices. App Organizer can be found at the top of your child’s OurPact Jr. dashboard. Once setup is complete and OurPact Jr. is updated on your child’s device, an icon will appear in the upper part of your child’s screen, with two arrows and squares (next to the clock symbol). You can see this icon highlighted in the image to the left ← (… or above ^ if you are reading on a mobile device!). Why Can’t I Use App Organizer on the Free or Plus Tier? OurPact employs two different types of management: one for OurPact’s Free/Plus tiers, and two for OurPact Premium. 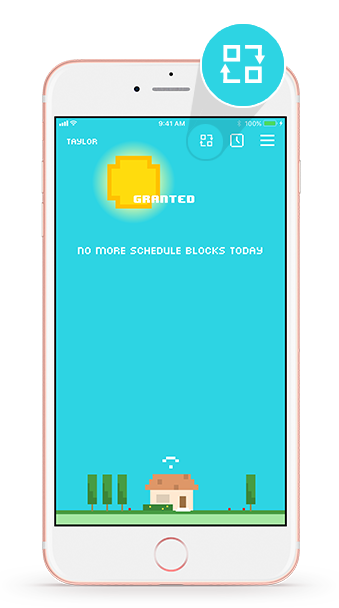 The additional management that you install onto your child’s iOS device to unlock Premium features (Screen Time Allowances/Daily Limits, Location Monitoring, Selective App Blocking, App Lists) is what enables us to prevent scrambling with our App Organizer. How Does App Organizer Work? Your child will be the one to use our App Organizer, from within OurPact Jr. installed on their child iOS device. App Organizer works just like your iOS home screen! Turn ON the App Organizer by using the toggle in the top right-hand corner. Hold down the apps you wish to organize and drag and drop them into place, just as you would on your iOS home screen. Select ‘SAVE’ in the upper Left corner when finished. Docks contain the four applications that are always available at the bottom of your device screen for easy access. To organize apps into folders, drag and hold the app you wish to create the folder for over another app. The folder will appear and allow you to continue to drag other apps into that folder. Your child can’t delete applications with App Organizer enabled. To delete apps, your child will need toggle OFF App Organizer, then return to their device homepage, and delete the app. When App Organizer is turned OFF, apps will scramble. Once it is turned back ON, the apps will go back to their organized locations. 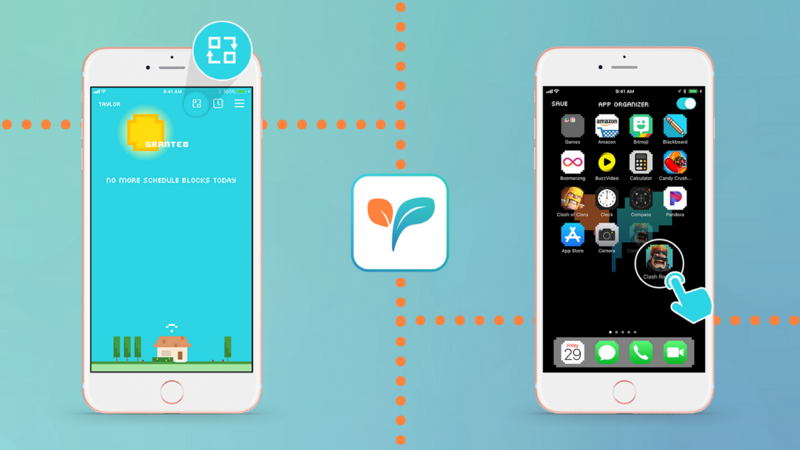 If you have any questions about App Organizer, please contact support@ourpact.com. We’re always here to help!